The Professional Regulation Commission (PRC) announces that 13 out of 20 passed the CHIEF MARINE ENGINEER OFFICERS LICENSURE EXAMINATION, 123 out of 185 passed the SECOND MARINE ENGINEER OFFICERS LICENSURE EXAMINATION and 290 out of 497 passed the OFFICER-IN-CHARGE OF AN ENGINEERING WATCH LICENSURE EXAMINATION given by the Board for Marine Engineer Officers in Manila and Cebu this May 2012. The results were released after five (5) working days from the last day of examinations. Registration for the issuance of Certificate of Registration and Professional Identification Cards will start on June 4, 2012 until June 15, 2012 at Regional Offices and June 4, 2012 until June 22, 2012 at Central Office. In addition, 343 applicants were approved for upgrading as Chief Marine Engineer Officers as per Board Res. No. 13 dated February 7, 2012, Board Res. No. 21 dated February 24, 2012, Board Res. No. 27 dated March 8, 2012, Board Res. No. 36 dated March 29, 2012, Board Res. No. 43 dated April 13, 2012, Board Res. Nos. 53 & 54 dated May 10, 2012 and Board Res. No. 61 dated May 24, 2012 Series of 2012. View the list of approved applicants for upgrading as Chief Marine Engineer Officer at the bottom post. Every licensure examination needs a good preparation not only on the part of PRC but for the examinees. As the June 2012 series of board examinations is near, I will be posting a quick guide for those interested to know the exact date of exams. Your are here because you want to know when is the proper time to check your close friend's or schoolmate's board results. Schedule below is in accordance with the official dates released by the Professional Regulation Commission (PRC). First on the list is the board exam for Radiologic Technologists & X-Ray Technologists. Examination is on June 5-6, 2012 at three testing locations, Manila , Davao and Iloilo. Licensure examination for Architects is on June 8 and 10, 2012 at Manila. Social Workers board exam is scheduled on June 26- 27, 2012 at Manila, Baguio, Cagayan de Oro, Cebu, Davao, Iloilo, Legazpi & Zamboanga. Environmental Planners licensure exam is on June 20 and 21, 2012 happening at Manila. And last is the board examination for Nursing scheduled on June 30 and July 1, 2012. Testing locations are Manila, All Regional Offices, Zamboanga, Angeles, Cabanatuan, Dagupan and Laoag City. List of passers, top performing schools, top 10 examinees will be posted. 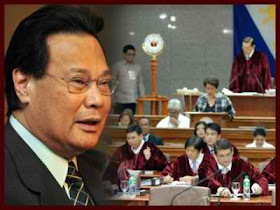 CJ Corona Trial Final Verdict: Guilty! Manila, Philippines- After 43 days of trial, Chief Justice Renato Corona was convicted by at least two thirds of the Senate's vote, 20 votes in actual. Only 3 out of at least 8 votes were casted in favor of Corona's acquittal. "The Senate, sitting as an impeachment court, having tried Renato C. Corona, Chief Justice of the supreme court, upon three articles of impeachment charged against him by the House of Representatives". Article 3 accused the Chief Justice of losing his neutrality by discussing cases with litigants and for flip-flopping in some final and executory cases, while Article 7 hit Corona for his supposed partiality toward former President Gloria Macapagal-Arroyo when he led the Supreme Court last November to allow his ex-boss seek medical treatment abroad, respectively. The decision all boiled down to the arguments presented by the defense and prosecution panels on Article 2 . It is about Corona's non-disclosure of his assets and net worth. In Article 2, Corona was accused of deliberately concealing some properties and cash deposits in the statement of assets, liabilities and net worth (SALN) since his appointment as magistrate in 2002. In an article written by Ariel G. Ronquillo, Director of the Civil Service Commission’s Office for Legal Affairs published in Inquirer.net, he pointed out that the SALN which all public officials and employees in the Philippines are mandated to file annually is the means to achieve the policy of accountability of all public officers and employees in the government. It was originally required by the Anti-Graft and Corrupt Practices Act of the Philippines (RA 3019). This was reinforced by Revised Administrative Code of 1987, the 1987 Constitution and the Code of Conduct and Ethical Standards for Public Officials and Employees (RA 6713). The 20 senators who are in favor of CJ Corona's conviction are Edgardo Angara, Alan Peter Cayetano, Pia Cayetano, Franklin Drilon, Francis Escudero, Jinggoy Estrada, Teofisto Guingona III, Gregorio Honasan II, Panfilo Lacson, Manuel Lapid, Loren Legarda, Sergio Osmeña III, Francis Pangilinan, Aquilino Pimentel III, Ralph Recto, Ramon Revilla Jr., Antonio Trillanes IV, Manny Villar, Vicente Sotto III and Senate President Juan Ponce Enrile. Meanwhile, the three senators that are in favor of Corona's acquittal are Joker Arroyo, Miriam Defensor Santiago, and Ferdinand Marcos Jr.. The grand finale of trial became trending topic online specially on Twitter. Majority of nationwide trending topics are about CJ Corona's conviction. Some of the trending topics are Bye Corona, Article 2, Sen. Marcos, Leon Guerrero, Acquit or Convict, Not Guilty, Text UNLISPEECH to 8888 and Picha Pie. You may search this hashtags on Twitter for the details. Corona's impeachment is just like Big Brother rules for eviction. Juan Ponce Enrile served as Kuya of the Senate House ordered the historic eviction of the chief justice. After the eviction, Bye Corona hits worldwide trends on Twitter. So, what do you think is the effect of Corona's conviction now? Does it help the country to move forward? Yes, we did another history but those 43 days were wasted just for the sake of Corona's trial. How about for other issues in the Philippines like poverty and unemployment , can we make history of solving these important issues? I think, it is really nonsense if the top officials have the same issue, SALN. We should realize something after Mirriam Santiago's speech. I hope the fight for corruption doesn't stop with Corona's conviction. The list is long and many deserve punishment as well. VERDAN JOSEPH URTOLA CHUA from University of the East- Manila occupied the the top spot with 82.67% rating, for the list of successful examinees for May 2012 Dentist Licensure Examination. Meanwhile, a student from UP-Manila (MARIE CARMINA SAN JOSE GULMATICO) is on second place. 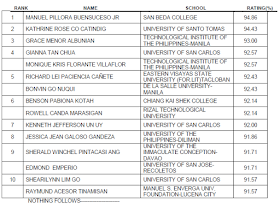 Below is the complete list of topnotchers for May 2012 Dentistry Board Exam. The Professional Regulation Commission (PRC) announces that 157 out of 511 (30.72%) passed the Dentist Licensure Examination in the Written Exam and 158 out of 162 passed the Dentist Licensure Examination for the Practical exam given by the Board of Dentistry in Manila this May 2012.
and Dr. Rannier F. Reyes, Members. The results were released in just two (2) working days after the last day of examinations. Registration for the issuance of Professional Identification Card (ID) and Certificate of Registration will start on June 4, 2012 but not later than June 15, 2012. Those who will register are required to bring the following: duly accomplished Oath Form or Panunumpa ng Propesyonal, current Community Tax Certificate (cedula), 2 pieces passport size picture (colored with white background and complete name tag), 1 piece 1” x 1” picture (colored with white background and complete name tag), 2 sets of metered documentary stamps and 1 short brown envelope with name and profession and to pay the Initial Registration Fee of P600 and Annual Registration Fee of P450 for 2012-2015. Successful examinees should personally register and sign in the Roster of Registered Professionals. "How to Dance in the Club" by Jemdahunk is getting more popular in Youtube! Youtube is one of the most popular site online that gives way to some individual who has the talent on video-editing, video sharing of interesting news and entertainment item. It is also the backdoor for some artists that aim to be star in the Youtube world and eventually to the masses after hitting million of views and get popularity they deserved. With this, I'm going to feature one of the fast-rising video post in Youtube, it is called "How to Dance in the Club". It was uploaded by Jemdahunk on his channel. The video is not serious at all unlike the original version which is like a tutorial. But, you can consider it serious if you like. The concept here is funny. Some words are in-appropriate for the minors. I will not tackle it much here to preserve the site integrity. Just watch it. Currently, views is around 700K but each day it's getting a lot of views. Due to the popularity of his video upload, he made another video for the "Pinoy tutorial" of "How to Dance in the Disco". If Simsimi is crazy, Jem is much more. Are you ready to start or improve dancing in the club? So, follow Jemdahunk's tips...yes, it's the actual truth. Joking. But, the video post has sense and not only sense of humor. The Netphone 501 is the second device to come out of the Smart Netphone brand. With this, subscribers can enjoy a host of SmartNet services like mobile instant messaging and combined social networks (Facebook and Twitter). Last year, Smart's Netphone 701 (ZTE Blade) was successfully launched and became bestseller bundled with Smart's services and promos. This is in accordance with the company's goal to be the first webtelco in the country. This is really a good phone for those budget-conscious individual but wants to own a semi-high end phone. From the official website of Smart, suggested retail price (SRP) is only PhP 3, 900 or FREE at Plan 349. What is Smart Plan 349? Please refer on below video. At the end of the two-hour finale of the most watched reality competition, Phillip Phillips was crowned as the ultimate winner for Season 11. Although it was predicted that Jessica will win and owns major percentage of votes, at the end it was Phillip who was chosen and became member of the elite group of American Idol. "After the record breaking 132 million votes, the winner.. of American Idol Season 11 is...Phillip Phillips... Jessica Sanchez is the runner up. Phillip, new American Idol sang the coronation song "Home". " The finale was dubbed as the battle of opposites: the sassy "diva-in-training" pitted against the dreamy, boy-next-door singer with a guitar as his best friend. For the record, 132 million votes was casted after the performance night, as Ryan Seacrest announced. Phillip marks the 5th time a male contestant won the competition. 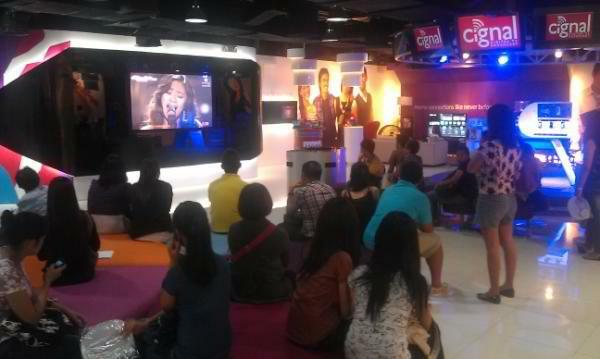 Through the partnership with Cignal TV and Starworld, American Idol finale special telecast on High Definition (HD) viewing was experienced by tech-savvy 'Idol fans at Jump, SM MegaMall. Jump supports our Pinoy Pride, Jessica Sanchez in her quest to be the next American Idol. Telecast on HD happened 6pm (May 23) and 6pm by May 24. Plus, you may win exclusive Starworld freebie for every Cignal subscription sign ups. 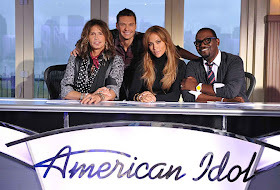 Join American Idol trivia games and have a chance to take pose on photowall. Jump is the new Experience Center of PLDT and Smart at SM Megamall. It's a bold shift from the usual retail center to a cutting-edge display of convergence and innovation, brought to you by the leaders of convergence and innovation. It is built to bring Filipinos into the new phase of communication - a bold shift from the usual retail center to a cutting-edge display of convergence and innovation, brought to you by the leaders of convergence and innovation. Jump is especially designed to cater to your mobile, Internet, home and business needs. With the latest devices and cutting-edge gadgets, Jump transforms the way you experience tomorrow's technology today. Season 11 of American Idol was recently concluded with distinct historical moments. Record-breaking 132M votes just came in after the performance night (May 23).AI Finale was aired over Fox channel Wednesday night (Thursday morning Manila time) live from Nokia Theater , Los Angeles. The two-hour 'Idol finale show was opened featuring the Top12 finalist performing Bruno Mars' "Runaway Baby". Phillip Phillips then performed on stage with rock singer John Fogerty, the lead singer and guitarist of Creedence Clearwater Revival. Jessica Sanchez on the other hand sang "I Will Always Love You" which is indeed a very good performance. Idol stage was fired next by JLo's performance of "Goin In". Something special also happened when Ace Young proposed marriage to Diana DeGarmo. Both are previous season's finalist. Hollie Cavanagh with Season 6 grand winner Jordin Sparks also performed. ﻿﻿Self-confessed Sanchez supporter, Jennifer Holliday also performed duet with Jessica. They sang "And I Am Telling You", her song in final 4. It was a great number that earned standing ovation from the judges. It was Aerosmith that performed last from the guests, then, Final 2 in a duet. Ryan Seacrest then announced the winner for Season 11 of American Idol. Everybody is nervous and hopes for the name of their bet. But, it was Phillip Phillips that win at the end. The 21-year old boy-next-door with guitar from Georgia crowned as the Season 11 champion. Phillips received trophy and performed his coronation song, "Home". Although Jessica Sanchez is the runner-up, she is by far the world Idol favorite. Everybody is excited for the result for who will be the victorious one for Season 11 finale of the worldwide most popular singing competition, American Idol 2012. Will it be Jessica, the 16-year old Filipino-Mexican or Phillip Phillips, 21-year old from Savannah,Georgia? ﻿﻿During the head-to-head battle in the performance night, it shows a draw for Jessica and Phillip to take home the title. Both of them are good.Sanchez chose to sing ballads with big voice while Phillip Phillips went with the indie vibe. 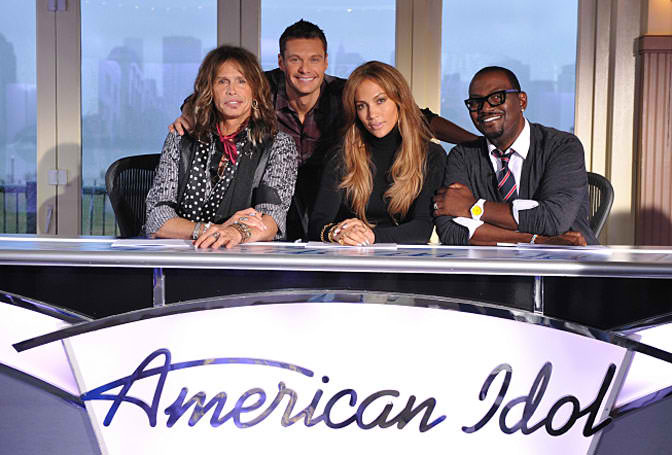 The two-hour finale of American Idol became top trending topic in Twitter and other social media. The #IdolFinale became the most popular hashtag in the Philippines. Hashtags related to Jessica are the following: The Prayer (Round 2 choice of song), Change Nothing (Round three choice of song), Round 1 ( Randy Jackson said Round 1 went to Jessica) and #JessicaForTheWin. While for Phillip, hashtag was Stand by Me (Round 1 choice of song). But Jessica proved to be the worldwide favorite after singing on the last round, "Change Nothing" became the no. 1 trending topic in Twitter worldwide. Though judges gave Phillips the last standing ovation after singing "Home". ﻿Watch Jessica's Amazing Performance Here. Based on social media buzz and Twitter postings going into Tuesday’s final, Sanchez had a 17% lead in Yahoo! searches. Jessica also generated 6o% more mentions in social media than Phillips, according to a survey by General Sentiment, analytics company. Jessica Sanchez creates another history for being the top contender in American Idol. For the record, she is the first Asian to reach the highest position in the worldwide hit singing competition. We can say that she already wins the Idol crown by far not to wait for the official result of final battle on Tuesday. This is only part of the numerous surprises that happens on her life now. During the Top 7 elimination night, she was saved by the judges that relieved her not to be eliminated. That was another history in American Idol, putting her to be the first female contestant saved by the judges. Jessica Sanchez is also the Twitter-verse favorite. Her name, performances and status in American Idol is always in the trending list. She has a lot of followers and friends on Facebook and Twitter. Everybody knows Jessica Sanchez and believe she will make it. If Jessica will win the title, she will be the youngest winner of American Idol ever had, another history! She is also the first Latina to win AI crown. The first winner to come from California. And for the first time, Mexico and Philippines will unite to support her on the final battle. Unlike for the boxing fights that it's usual, Mexico vs. Philippines but now both country will have a unique prayer. Jessica Sanchez, 16 will compete against Philip Phillips, 21 on May 22 and 23. Finale episode is Live on Fox and begins at 8/7c. 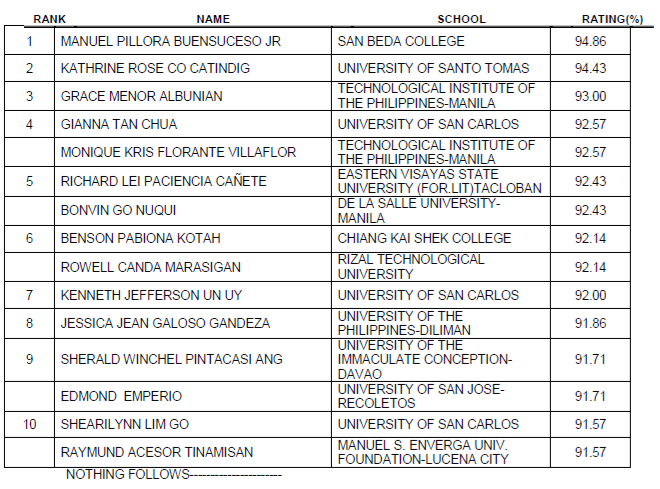 University of San Carlos is the only top performing school for May 2012 CPA Board Exam.Total no. of examinees who passed is 60 out of 72 or 83.33%. The Professional Regulation Commission (PRC) announces that 1,995 out of 5,315 passed the Certified Public Accountant Licensure Examination given by the Board of Accountancy in the cities of Manila, Baguio, Cagayan De Oro, Cebu, Davao, Iloilo and Legazpi this May 2012. The results were released in 1 working day after the last day of examination. The University of San Carlos is a Roman Catholic university governed by the Society of the Divine Word in Cebu City since 1935. Various offerings include pre-elementary and basic education as well as undergraduate and graduate courses, and a broad spectrum of academic programs through its eight colleges. USC consists of four campuses in different areas of Cebu – the Main Campus along P. del Rosario St., the Talamban Campus (a.k.a. TC – Technological Center) along Gov. M. Cuenco Ave., the North Campus (formerly the Boys High) along Gen. Maxilom Ave., and the South Campus (formerly the Girls High) along corners J. Alcantara St. (P. del Rosario Ext.) and V. Rama Avenue. The no. 1 spot for May 2012 Certified Public Accountant (CPA) was occupied by Manuel Pillora Buensuceso Jr from San Beda College with 94.86% general average. It was followed by Kathrine Rose Co Catindig from University of Santo Tomas- 94.43%. The Professional Regulation Commission (PRC) announces that 1,995 out of 5,315 or 37.54% passed the Certified Public Accountant Licensure Examination given by the Board of Accountancy in the cities of Manila, Baguio, Cagayan De Oro, Cebu, Davao, Iloilo and Legazpi this May 2012. The results were released in one (1) working day after the last day of examination, the same with last year. PRC also announced that registration for the issuance of Professional Identification Card (ID) and Certificate of Registration will start on Monday, June 4, 2012 but not later than Friday, June 8, 2012. Those who will register are required to bring the following: duly accomplished Oath Form or Panunumpa ng Propesyonal, current Community Tax Certificate (cedula), 2 pieces passport size picture (colored with white background and complete nametag), 2 pieces 1” x 1” picture (colored with white background and complete nametag), 2 sets of metered documentary stamps and 1 short brown envelope with name and profession and to pay the Initial Registration Fee of P600 and Annual Registration Fee of P450 for 2012-2015. 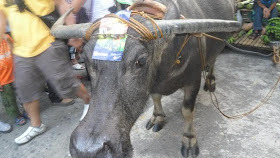 May 18, 2012, the final run for the pilot testing of Online Application System (OAS) in Lucena became successful. PRC Lucena made it to the final day of the application for the June 2012 NLE with flying colors,processing 180 applications on the first day of the deployment. PRC Lucena covers the launching of OAS for the whole region 4. Last April 16, 2012, Professional Regulation Commission (PRC) announced on their official website the online application system (OAS) for the upcoming June 30 -July 1, 2012 Nurse Licensure Examination. It was advised that beginning April 12, all the applicants may apply through http://www.prc.gov.ph/online/application/. The OAS or the On-line Application System is a major program of the Commission in compliance with its commitment “to serve its clients on-line, and not in-line”. Pilot Testing of OAS has already been done at PRC Baguio, PRC Cebu, and PRC Davao, PRC Iloilo, PRC Cagayan De Oro (April 19 and 20), and PRC Legaspi (April 26 and 27). Pilo testing in Iloilo was done last April 16-17 in PRC Iloilo. It was under the supervision of Hon. Jennifer Jardin-Manalili, Commissioner-In-Charge of the ICT or Information and Communication Technology at PRC. Progress for the pilot testing was consistently announced in PRC website. But why the wedding became a surprise? The world only knew this when Mark changed his status in Facebook, "Married to Priscilla Chan" and peole express their congratulatory message thru comments and "Likes". The wedding is supposed to be the worldwide "Wedding of the Year" as Mark is a founder of the most popular social networking site, Facebook that makes him multi-billionaire at young age. Mark became busy last week for his new business achievements.He started his day off by ringing the NASDAQ bell and taking his small social networking company public by raising $16 billion. 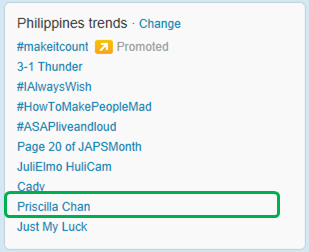 Sunday afternoon in the Philippines as the news creates online buzz, Priscilla trends on Twitter. But Mark did not, he's not supposed to trend on Twitter? Maybe it's not..
Facebook founder and CEO, Mark Zuckerberg married Priscilla Chan yesterday. It was five days after the bride graduated from medical school at the University of California. When Mark updated his status on Facebook to "married", the news spreads immediately and still earn "Likes" worlwide. 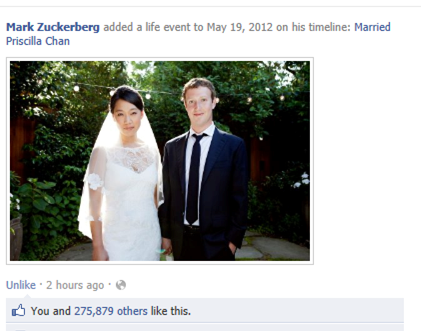 Two and half hours ago, Mark Zuckerberg added life event on his timeline with the wedding photo. It earns almost 276,000 "Likes" in few minutes. Zuckerberg, 28, and 27-year old Priscilla tied the knot at small ceremony at Palo, Alto California. Ceremony took place in Zuckerberg's backyard with fewer than 100 guest that assumes that ceremony is for Chan's blow-out after graduating at the medical school. It was Mark who designed the the wedding ring, a simple ruby and Chan did not see it before the ceremony. The couple had been together for almost 9 years and their relationship started at Harvard University. 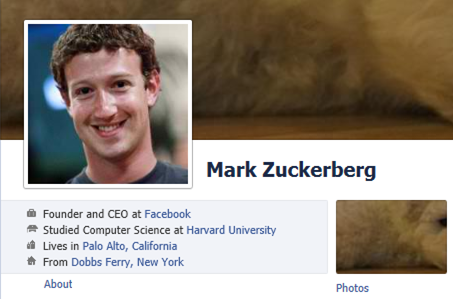 It was the same year when Mark has been conceptualizing Facebook. But their relationship became secret for the most part. Priscilla, not only a girlfriend of Mark at that time also helped him for the company matters, legal affairs and press releases. Mark is the youngest billionaire in the world and owns 56% voting stocks of Facebook.He was named as Time's Person of the Year in 2010, at age 26. Facebook has been listed in NASDAQ recently and became the biggest IPO in history. During the finale of Survivor: One World last May 13, it was confirmed that two more seasons were renewed, Season 25 and 26 with Jeff Probst still the host of the most popular and highly-rated television show in America aired over CBS network. Watch Survivor: Philippines Promo Teaser here. Season 25 is called Survivor: Philippines that is currently films at the beautiful islands of Caramoan in the Bicol region. Survivor USA Season 25 will feature returning castaways that were removed from the previous seasons due to illness and injury. As speculated, the three returning castaways are Michael Skupin of Survivor: The Australian Outback, Jonathan Penner of Survivor: Micronesia and Russell Swan of Survivor: Samoa. After Survivor: All-Stars, it will be the first season to begin with the three tribes and the seventh season overall to feature returning castaways. Survivor:Philippines compose of three tribes with six members.The names of the tribe were Kalabaw (Carabao), Matsing (Monkey) and Tandang (Rooster). From a reliable source, premiere of Season is on September 2012. Season 26 of Survivor is also for shoot in Caramoan. Survivor USA: Philippines is in partnership with Philippine Film Studios Inc., forefront of production filming and Smart Communications, Inc and PLDT for the transmission requirements of the show. The long wait is over! In a few days, we will witness the major battle for American Idol finale. It's about time for the for the AI Season 11 champion to be crowned. This will occur on May 23, 2012 as Fox announced the date. Credit: Michael Becker/FOX © 2010 Fox Broadcasting Co. The Season 11 finale is set on May 22 (Tuesday) for the final performance night and May 23 (Wednesday) for the results night. Fox made a shift from the usual airing, Wednesday and Thursday. Performance show is still two hours as FOX confirmed. In the Philippines, finale will be happening on May 23 and big results reveal on morning of May 24. We could expect that Season 11 Finale will be a trending topic on Twitter and other online platforms. Since the competition became more and more stiffer, the results for the Final Two became unpredictable at the start. All of them( Joshua,Jessica and Phillip) are good singers and already have fanbase on their regions. The faith is dictated by the voting system. More votes, more chances of winning. However, did America make the right decision for Ledet not dominating the call, text and online votes that made him eliminated in the final round? Many believe that Joshua is talented than Phillip and can make his name in the music industry. Judges were amazed on his performances and gave standing standing ovation as well. But, the opinions are different. From Diane Carmichael at Facebook, " Phillip has no vocal talent to begin with. He is just a Dave Mathews wannabe. Of the three Joshua is the only one that will have longevity in the music industry." However, there is always a negative side of it. Some are tired of Ledet's screaming and wailing. From Tony Lemansky at Facebook post, " yes, america got it right finally his screeching, and the constant standing ovations when his performance was mediocre at best, on the other hand, if jessica would not of been saved, that would of been save the following week when colton got voted off, which should of been the colton-phillip finale". All of us might have our own top choice and reasons for not choosing one from the other. The most important of this is, we respect everyone's opinion and we did our part for saving our favorite. There will be no more drama. The Summit Express prediction that Jessica Sanchez will make it to top 2 of American Idol is a reality now. Although, I had predicted that Philip Phillips will be the next to be eliminated, it doesn't matter. The most important is Jessica Sanchez is "IN" for the final round of Season 11 American Idol Finale. Jessica has been the crowd-favorite, I think worldwide for the run of successful American Idol. From the Twitter world - to- google Trends, she is always on the top as she continue to wow her fans in every performance battle. On Wednesday night’s performance, Jessica sang three songs: Mariah Carey’s “My All,” Aerosmith’s “I Don’t Wanna Miss A Thing,” and Jackson 5’s “I’ll Be There” in which she received positive feedback from the judges already she suffered from sore throat. Sanchez achievement so far is the highest attained by a Filipino contestant in American Idol. Jasmine Trias, Filipino-American made it to top3 of American Idol Season 3.Thia Megia, another Filipino-American, meanwhile, finished in the top 11 of last year's competition. Joshua Ledet is also good in singing as always applauded by the judges and received standing ovations. But, as the voting system is followed...he only received total nationwide vote that is lowest among the top three contenders. Eve before the American Idol Top 3 performance night, Jessica Sanchez tweeted that she has a sore throat. Of course, everybody was worried to her that it might affect or create impact on her performance. But performance-wise, she still managed to impress her fans and the judges specially Steve Tyler. Tyler proved that "she is one of the best singers in America" by another standing ovation. The rendition of "I don't Wanna Miss a Thing" by Aerosmith is refreshing and powerful. Truly deserves to win the Americal Idol Season 11 title. She's already a winner by her charm and skills on singing. "I don't Wanna Miss a Thing" became trending topic on Twitter Philippines. Pinoy fans are satisfied by her choice of song. Aside from Jessica's popularity in America ,she is very popular in the Philippines. Filipinos support Jessica Sanchez and pray that she will be the first Filipino to win the idol crown. Check out her performance here. On the other hand, the performance of Joshua Ledet is also good. Jimmy Lovine chose "No More Drama" for Joshua on Round Three. The act is dramatic. JLo alluded his timing in songs is impeccable and that is why any potential flaws are seen as great singing and the whole package. Although, it was predicted that Jessica and Joshua will meet at the finals, Joshua was eliminated during announcement of top 2 contenders. It is a battle between Jessica and Philip for the American Idol title. The Professional Regulation Commission (PRC) announces that four (4) had passed the Technical Evaluation for the Upgrading as Professional Electrical Engineers given by the Board of Electrical Engineering in Manila this May 2012. Lucban, Quezon- People flock to Lucban to witness the much-awaited Pahiyas Festival 2012. 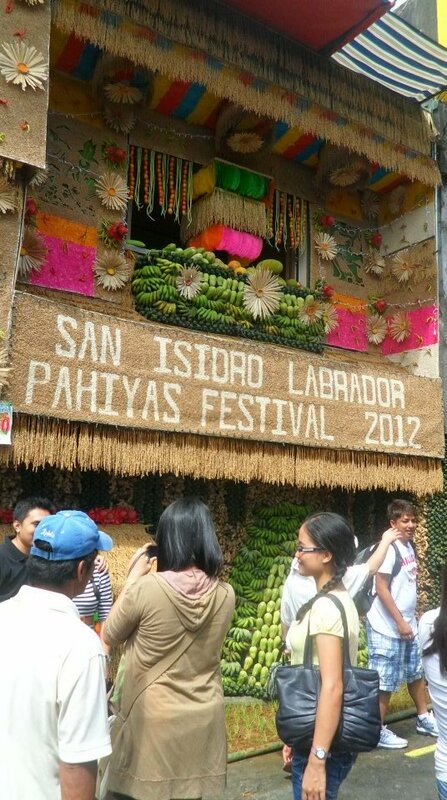 It is an annual celebration of bounty and thanksgiving to the patron saint, San Isidro Labrador. 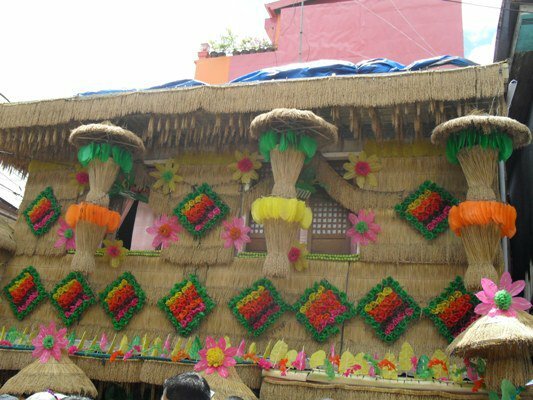 Every year, the Pahiyas became more and more colorful and vibrant as all Lucbanins are eager to participate on this major event of their town. Photo: Higantes " Abcede's Best"
﻿Photos courtesy of TeamLucban via Facebook. One of the best feature of smartphone today is the voice-activated software. We are really excited about this feature. But dealing with the program, you have to speak in a robotic tone for the software to understand. Major barrier is the communication skills and we should be good enough like robot to make it perfect. Frustrating! But how does it works? Since the major function of smartphone is to perform task that make our life easirer, the voice recognition software embedded in the phone will translate our voice commands into actions. Pretty cool! Effectivenes of the software is determined by the quality of the captured sound. Voice activation works by breaking down sound into chunks. In spoken English,by combining 40 phonemes (phonemes is sound unit). By recognizing the phonemes, voice activation software works. Algorithm is also used for the system to predict what exactly you're saying. With the Voice Actions for Android feature, smartphones running ver 2.2 and higher can control their device by voice actions. It is the official face for voice recognition and activation technology, but there are similar apps readily available on the Play Store. Siri for the iPhone 4S is a technology that lets you perform numerous tasks on your iPhone by simply speaking out your commands. It offers an easy way of communicating with your smartphone by using technology that understands a wide degree of voice communication not limited to simple command phrases. The system even has the capability of talking back. Watch the video here for the comparison of i-Phone 4S Siri and Google Voice Action. Which is better for you? It is also a deciding factor which to buy between two major smartphones. 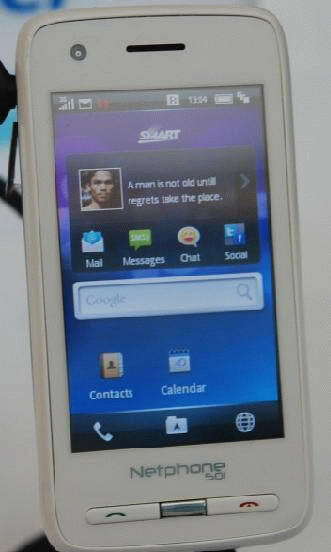 Beginning May 23, Smart Communications, leading telco in the Philippines will be accepting pre-orders of this most sought-after Samsung Galaxy S3 smartphone. “The Samsung Galaxy S III will be available from Smart bundled with Unli Data Plans that all come with unlimited mobile Internet, plus free SMS and call minutes,” said Wo Rosete, head of external relations for Smart. Netizens all over the world are now excited to know who will be the winner for the worldwide most popular reality show , Season 11 of American Idol. Different writers and analyst used different techniques to generate predictions which sounds as scientific and with full basis to determine the grand champion. Popular networking site like Twitter used to generate trending topics in an instant using the #hashtag. If you're a fan of Twitter (which I think you are), you will see the name of American Idol finalists on the trending topics everytime they performed well or amazed the audience. You probably sees Jessica Sanchez frequent in the list of trending topic worldwide or the word "Jessica Standing Ovation" or the title of the song she performed. But few people are aware of Google Trends. This is basically a good source of reliable data for comparison purposes. Unlike Twitter, you may input items as you want. And based from my previous study, Jessica Sanchez is the most popular or the no. 1 in Google Trends. 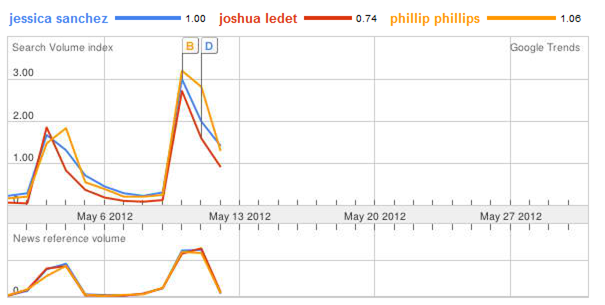 The peak on A (please see news reference volume) happened when Joshua Ledet got standing ovation from the judges. While the peak on B for Jessica Sanchez happened when the judges used their power to save Jessica during top 7 elimination night. 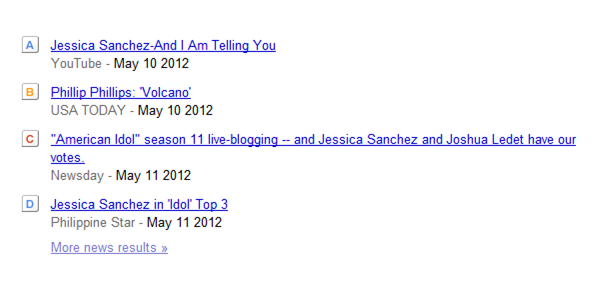 Over-all, Jessica Sanchez tops April 2012 American Idol popularity. Using the poll question as meter for who will survive for top 2 spots, data from the popular Los Angeles Times website shows dominance of Jessica Sanchez. The poll used to compare "The Voice" vs. "American Idol" contestants. Jessica leads by a whooping 51.34% of the votes. Followed by Joshua Ledet and Phillip Phillips. It seems that people are fanatic of American Idol than The Voice. 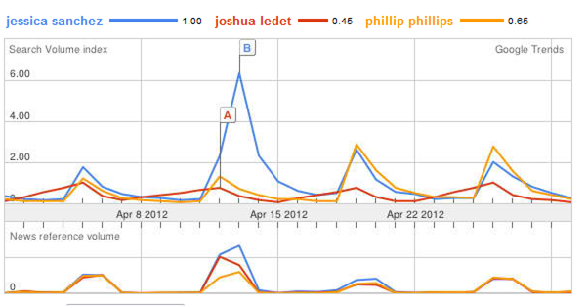 However, by the latest data in Google Trends capturing all Google searches for the month of May shows stiffer competition for Jessica and Phillip. Although Phillip Phillips take some edge, 6% away from Jessica in the trends, Jessica is still the most popular in the news articles read by the million users of Google. AI Top 3 Revealed: Jessica Sanchez is IN! 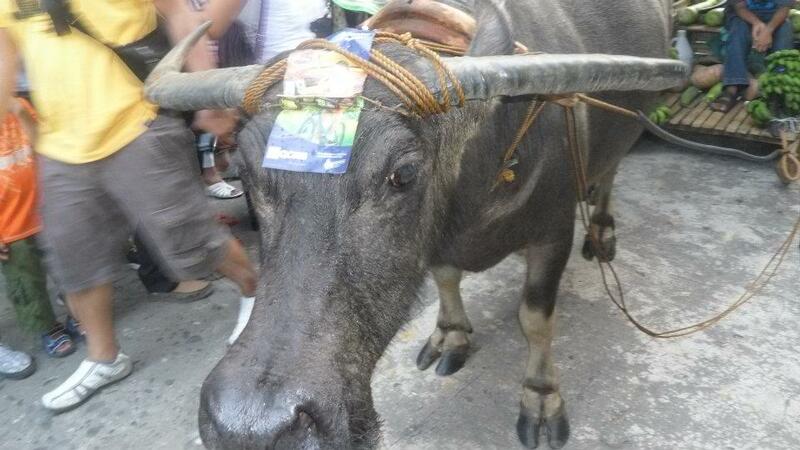 Philippines has a lot of festivals that showcase colorful and rich traditions,culture and religious festivity. 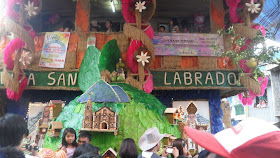 One of the best perhaps is the annual "Pahiyas Festival" in Lucban celebrated in honor of San Isidro Labrador, the patron saint of the farmers. 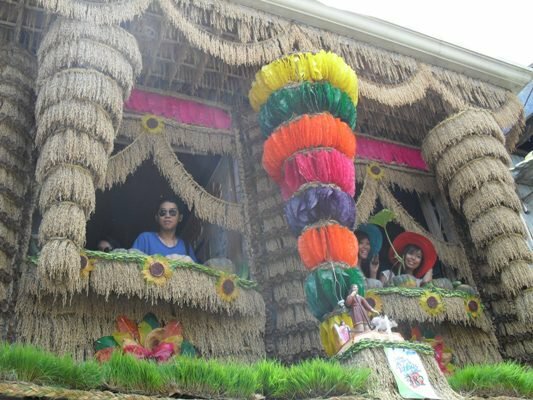 Pahiyas is scheduled every May 15 (this year it falls on Tuesday) and we could expect thousands of visitors all over the world will witness how Lucban will transform it's houses from simple into most decorative and colorful set-up. 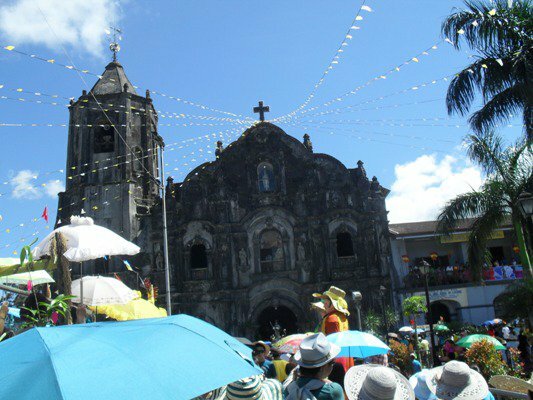 Lucban is one of the country's prime tourist attractions prompting the Department of Tourism to list down Lucban as a tourist town and a cultural heritage site. 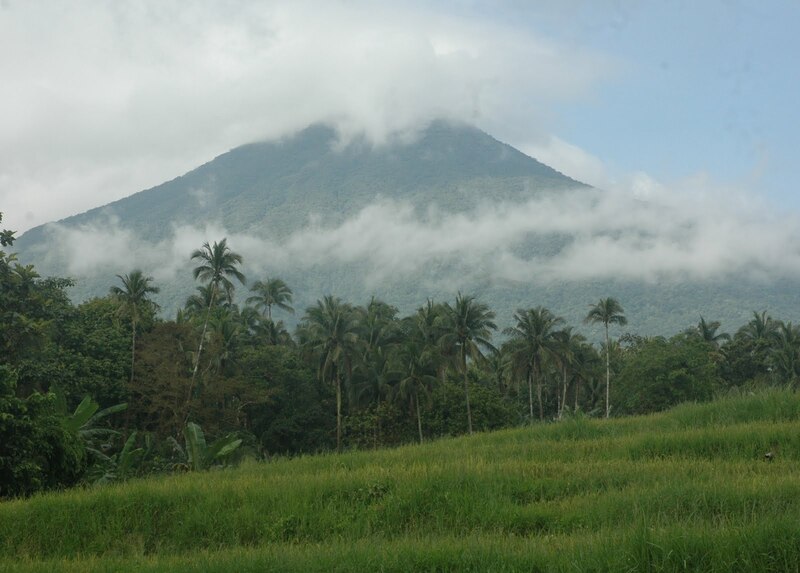 Lucban is a quiet farming town that sits on the foothills of the sacred Mount Banahaw. 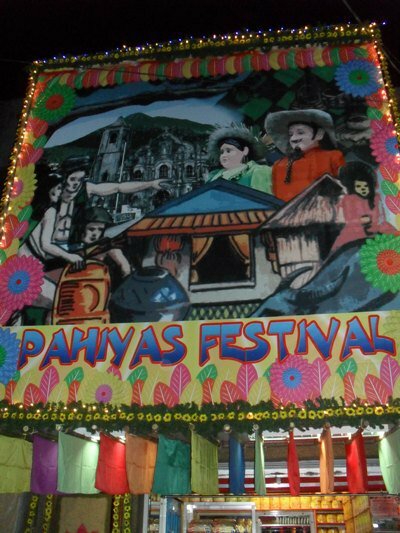 Lucban literally explodes with a kaleidoscope of colors, gastronomic feasts and religious fervor during the annual Pahiyas Festival.It is commended as one of the cleanest and most peaceful community in the country. Its cool, fresh and invigorating climate earns her the singular distinction of being called the Summer Capital of Quezon Province. The town's natural scenic spots and colorful lifestyles add to the charm that entices both foreign and local tourists to visit the place. 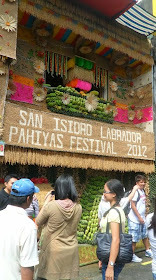 Pahiyas Festival is also the celebration of the feast of San Isidro de Labrador. 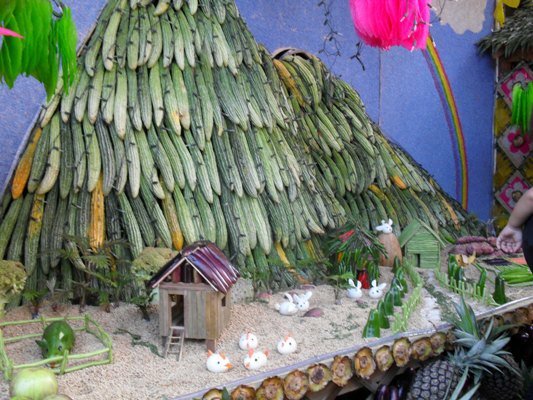 According to legends, San Isidro magically plowed the field of Lucban and blessed the town with good harvest, and it is believed that he continue to do so. 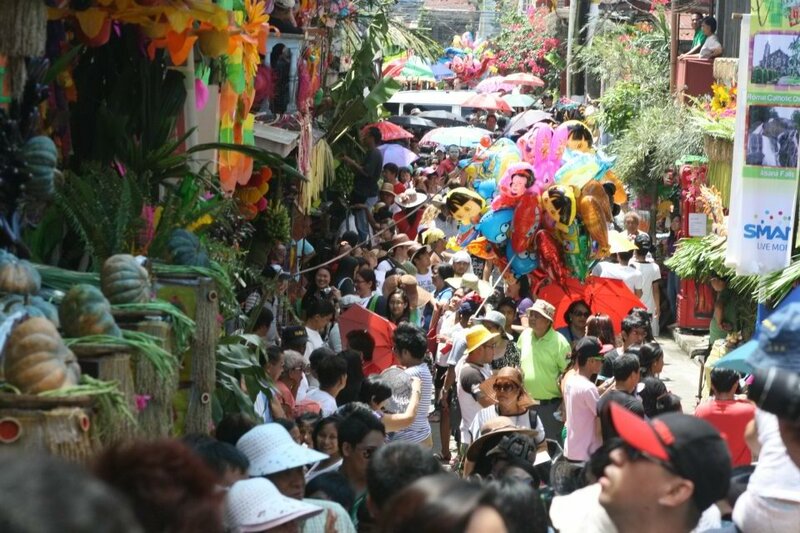 Every year, a procession of the image of San Isidro happens during the festival and it is said that the houses he passes by will be especially favored in the coming year. 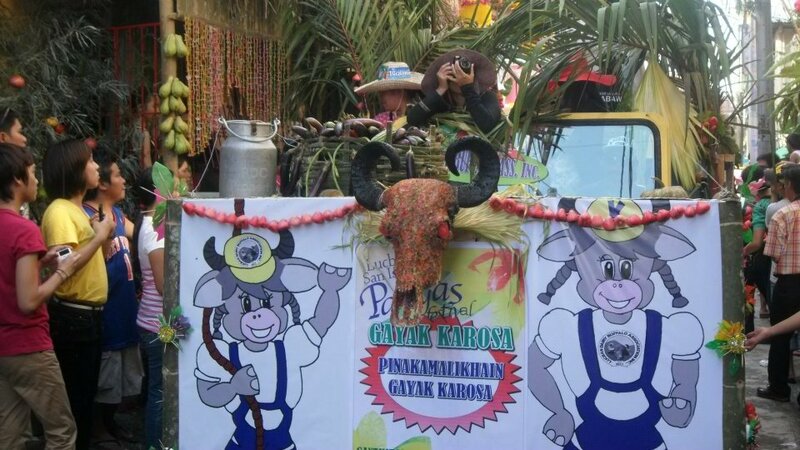 The locals also display their harvests and crops to be blessed by the priest during the procession. Each house would compete for the Grand Pahiyas Prize. 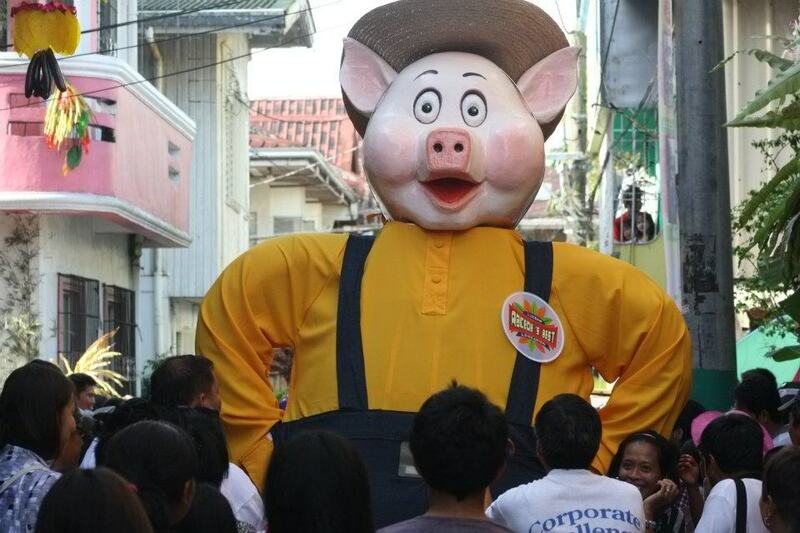 As recently announced, the Grand Prize for this year's "Timpalak Pahiyas" is a whooping Php 100,000.00! And when the day turns into night, the brightest and the most lighted house wins the “Kutitap Award” , transforming the entire town into a Christmas village in the middle of May. 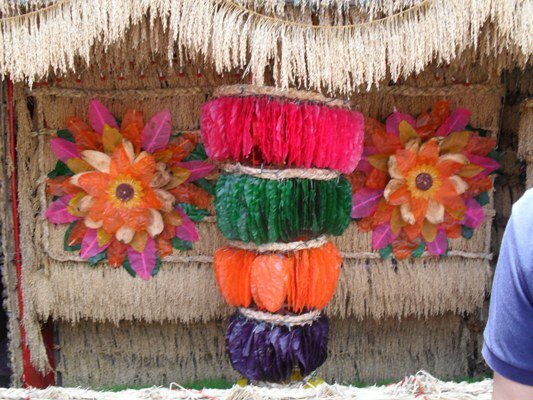 One of the most traditional and most looked after decoration is the "kiping". 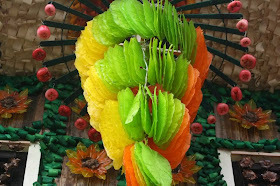 The kiping is a leaf-shaped wafer made of rice, colored and meticulously made by the locals of Lucban. Kiping can be made into a chandelier like decoration called as an ‘aranya’ or as huge flowers which add charm to the houses. It can be cooked and eaten much to the delight of tourists and visitors of the festival. 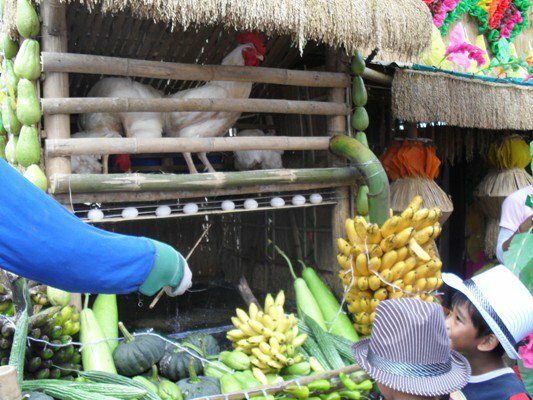 Lucban also benefits from this event through the "TIYANGGE SA LUCBAN", an agro-industrial fair showcasing Lucban's products. 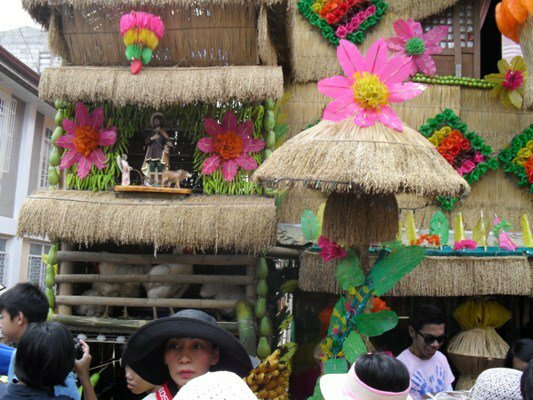 This fair features foods native to the town like the delicious Lucban longganisa, puto seko, broas, tikoy and other delicacies; ornamental plants like dapo and cutflowers; handricrafts such as buri/buntal hats, bags and a number of other cottage industry products. 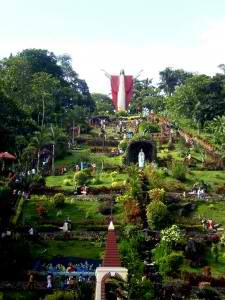 Aside from the Lucban Pahiyas, people who go to Lucban also visits the famous "Kamay ni Hesus" which is located on a hill at the facade of Mount Banahaw. 1. PARADE - featuring the ADgiants or higantes, marching and lyre bands, street dancers, floats, Sunduan (lovely ladies and their escorts in Filipiniana costumes) and Parikitan (ladies in unique costumes made of indigenous materials). 3. ADGIANTS (HIGANTES) - giants mascots that run, walk, dance, bow and roam around town to the excitement of both the young and old. 4. CULTURAL SHOWS featuring rondalla music ensemble, cultural dancers, singers, fashion shows, film/video showing, art and photo exhibits. So if you really are planning to go to Lucban make it planned ahead of schedules. All hotel bookings there are full 2 months before the festival . 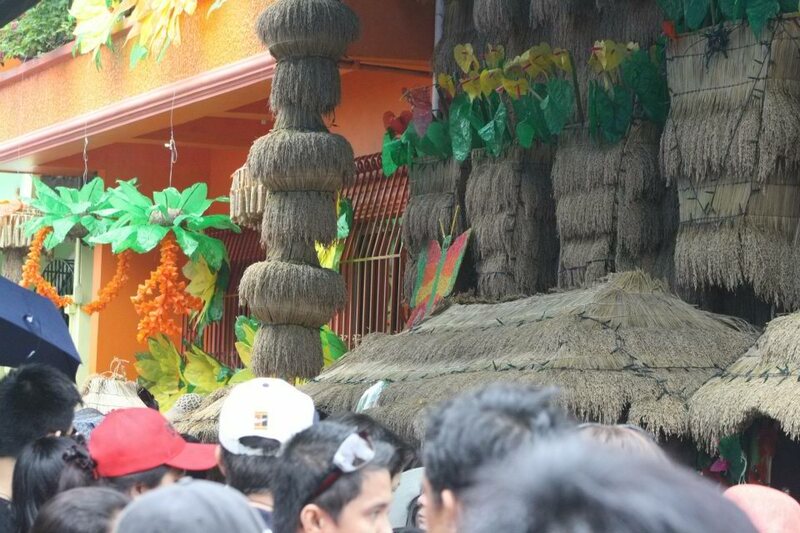 Make sure to travel going to Lucban as early as possible. You can start to travel by early morning of May 15 say 3-4 AM (fr. Manila) so by the time the sun is rising you are already in Sta.Cruz (via Laguna) ,or in Candelaria (via Lucena). No need hiring guide which just make your life worse like people along the way are helpful just ask them and for sure all the vehicles are going all to Lucban. 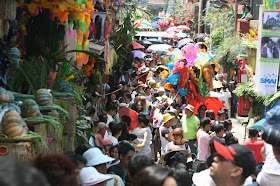 Hint never travel going via Lucena before 10am for sure you will reach Lucban in the afternoon since all the way along going to Lucban by this way are celebrating the SAN ISIDRO FESTIVITIES , unless you want to watch Pahiyas by night which is also colorful with all the lights adorning the decorations. As expected, Filipino-Mexican singer Jessica Sanchez entered the next round of competition in American Idol, Friday, Manila time. TheSummitExpress prediction was matched with the result, Hollie is the next to be voted out. "Bye Hollie" , Jessica, Joshua and "Top 3" trends on twitter worldwide after the much -awaited announcement is done. "Joshua is so OA, the opposite of Jessica's restraint and sophistication", according to Ces Orena-Drilon. "Philip makes weird faces. Joshua shouts. Hollie somehow I hear he singing choppy. Jessica great voice", according to Patrick James. As written via Interaksyon. com : Filipinos have been rooting for Sanchez to be the first singer with Philippine heritage to win the hit reality TV show. Other Filipino-American singers who successfully joined the competition include Thia Megia (2011, Top 11), Ramiele Malubay (2007, Top 7), Camile Velasco (Top 9, 2004) and Jasmine Trias (Top 3, 2004). Jessica Sanchez has proved how powerful her voice is as she sung Etta James "Steal Away". Judges and the world were amazed by her performance. Sanchez once again creates an online buzz and trends worldwide in Twitter. Jessica is really one of the best and young artist of this generation. Jennifer Lopez was happy to know that Jessica was growling early (a pre-song video clip showed her hamming it up at age 7). "You're just one of the best," she says. "I loved it," says Steven. "That showed the other side of your voice." "I love the whole vibe of that," Randy says. "The blues is so much soul so much heart in it. That's what it's all about. ... Amazing, again." Watch her powerful performance here. Etta James "Steal Away Lyrics"
Xavier Sy Lim of De La Salle University-Manila took the top spot in the May 2012 Civil Engineering Board Examination with an average rating of 95.20%. Meanwhile, a Mapuan Elspeth May Estrada Cruz came in second with 94.20%.